Pirainia – Space Shipsters! Friday 9th September 2016. Dress code: Space theme / Nautical. Sci fi, Shipster, Space Swimwear, Sea Hipster, Futuristic. Raise the anchor, tighten the air lock and hoist the space sails. Pull on your wetsuit and space helmet as we prepare to surf through space and sail the stars! 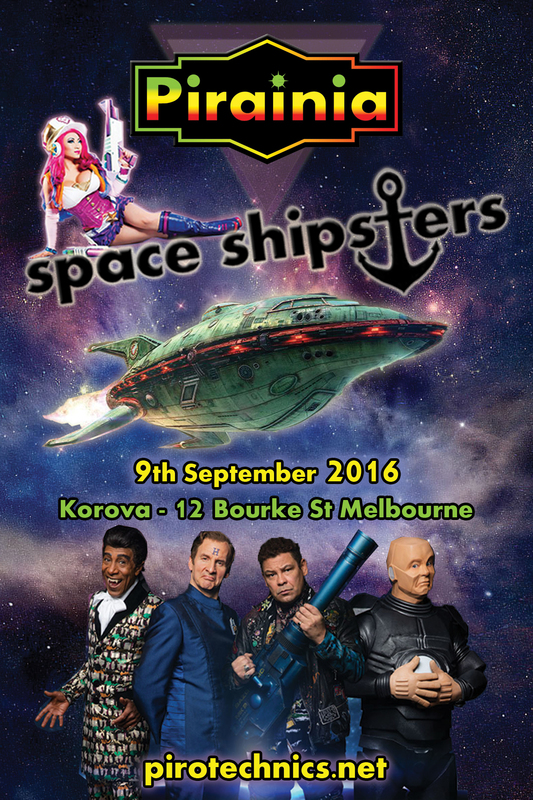 Kathy Ekaterini & Peter Piro Weber will both be celebrating their Birthday at Pirainia – Space Shipsters! As September 9th is bang in the middle of the Virgo Star sign we would like to invite all virgos to come celebrate their Birthday with us. If your b’day is on September 8th, 9th or 10th let us know and we’ll give you a free ticket! All profits raised from this event will go towards the costs of the Pirainia Theme Camp returning to Burning Seed 2016! comments: Comments Off on Pirainia – Space Shipsters! Friday 9th September 2016. Secret Party & Angel Music Bar venue launch!